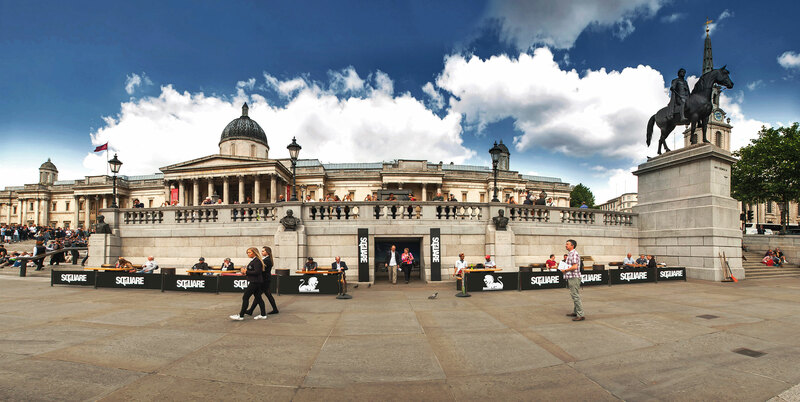 'Cafe on the Square' is a coffee shop and cafe situated right on Trafalgar Square in London, England. 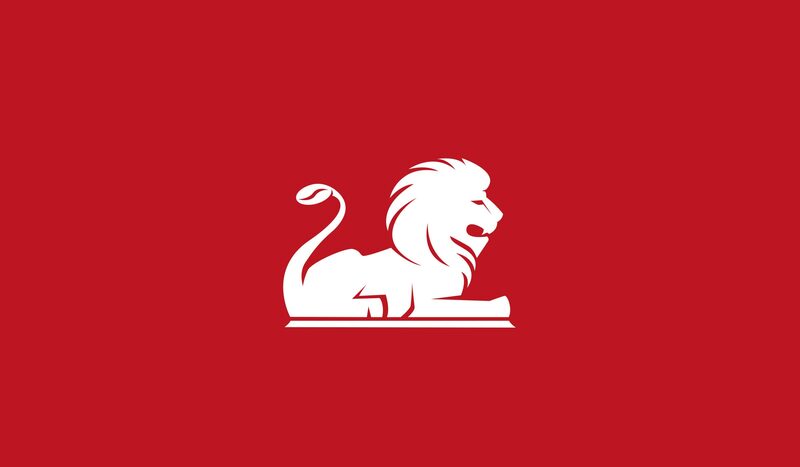 The illustrated lion symbolises one of the bronze lions guarding the base of Nelson's Column and a coffee bean can be seen worked in to the lion's tail. 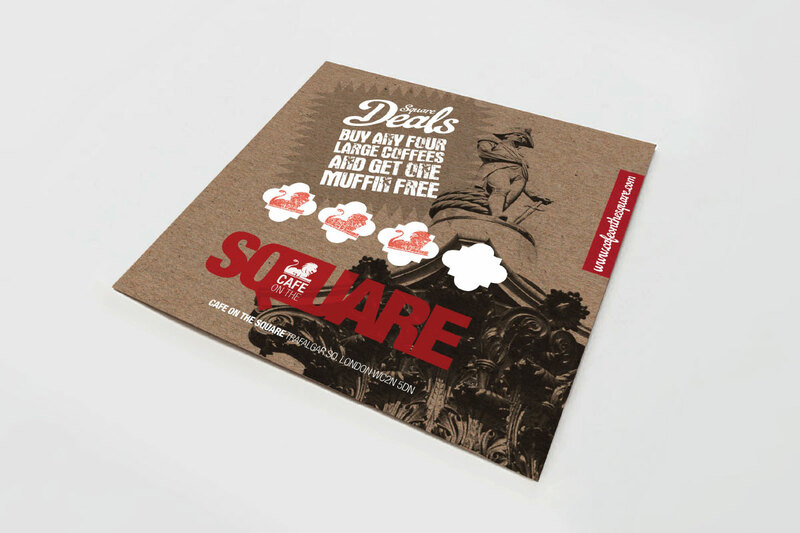 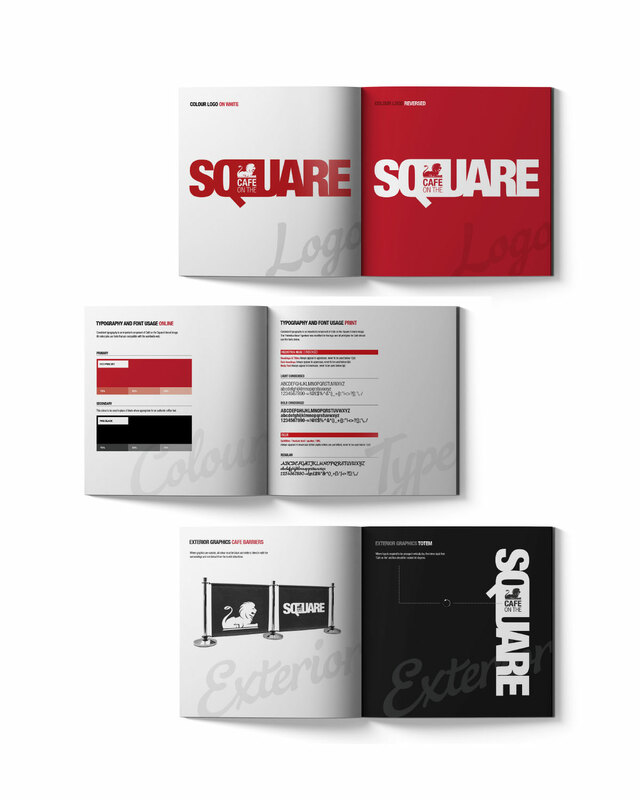 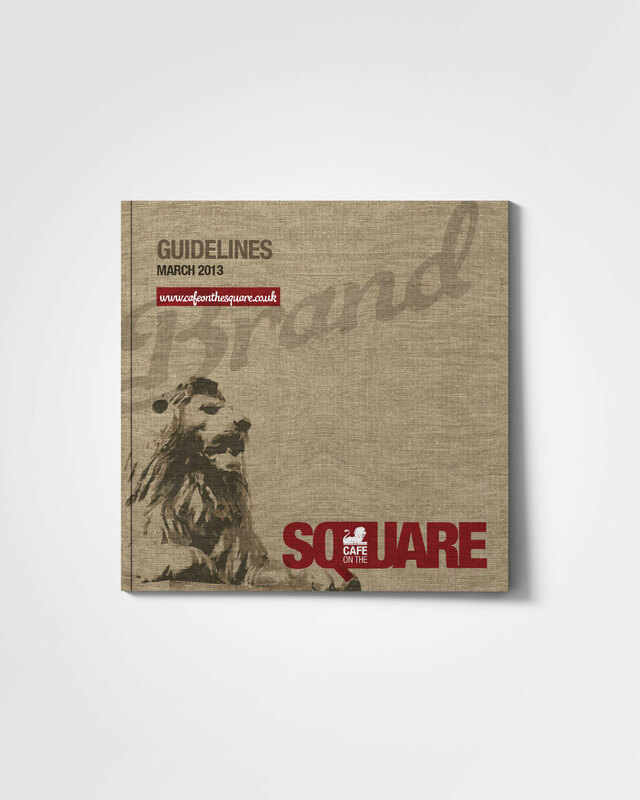 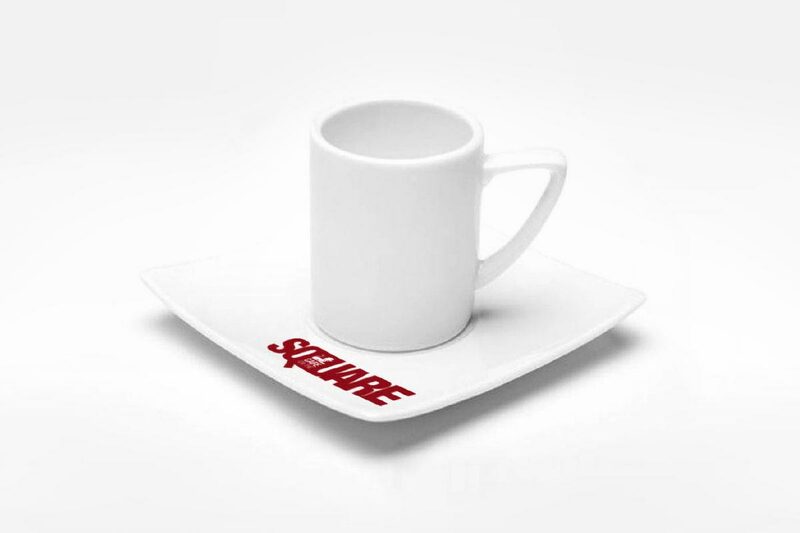 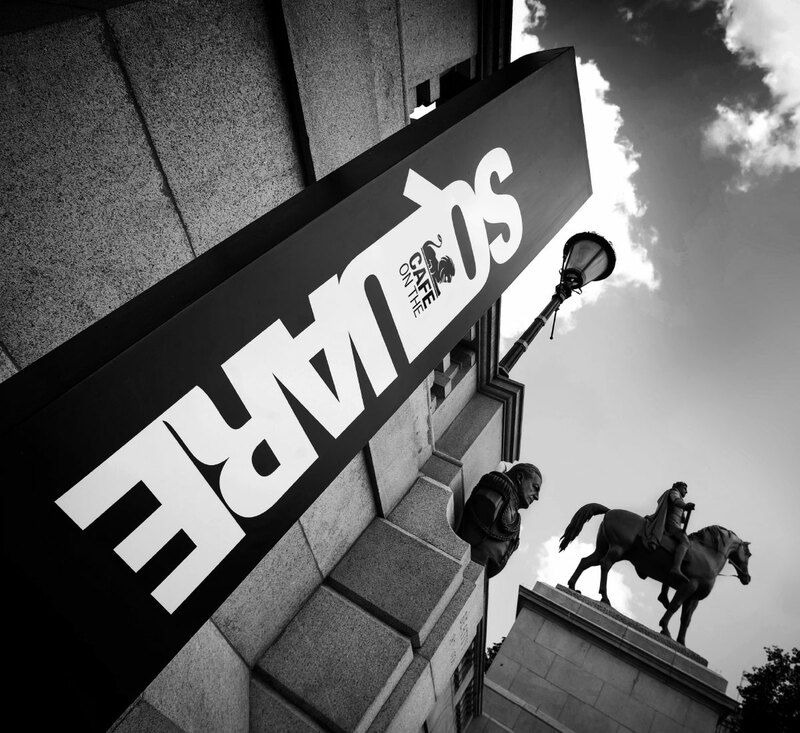 To emphasise that the Cafe is located on the square itself, the word 'SQUARE' has been made prominent within the brand and collateral uses a square format to further strengthen the concept. 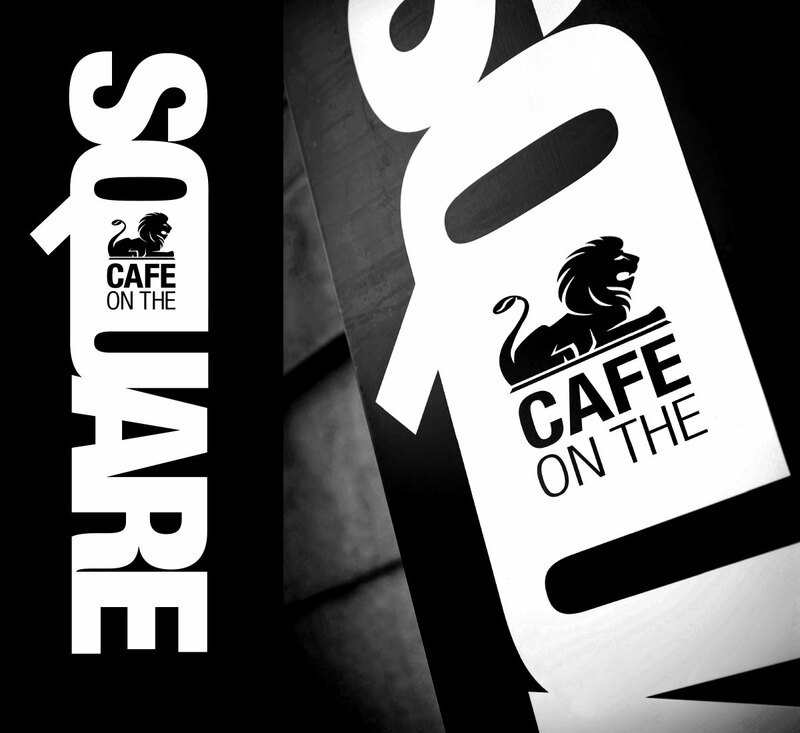 Signage on the square is mono to avoid distraction from tourist attractions and a vertical logo arrangement was introduced to the brand guidelines.